Everyone in the United Kingdom has the right to express their beliefs and interests openly. As a democratic society, the U.K protects the rights of all law-abiding people, including those who belong to minority political, religious and ethnic groups. However, it becomes a concern to everybody, including families, communities and law enforcement, if a person begins to advocate or use violence to achieve a political, religious or ideological goal. Radicalisation or extremism is where someone holds views that are intolerant of people who are of a different ethnicity, culture, religion, gender or sexual identity. Extremists may try to force their views on others and, in some cases, may believe that these views can justify the use of violence in order to achieve certain aims. Examples of violent extremist causes that have used violence to achieve their ends include white extremists from the far-right or Islamist fundamentalists and animal rights activists, all of which usually attract people to their cause through a persuasive, sometimes violent narrative. These kinds of narratives often provide people with answers democracy doesn’t give to the various grievances they may have either towards their school, family, missed opportunities in life or other. They then justify violence or criminal actions with the need to impose radical changes or avenge any suffering they themselves or others may have been subjected to. There is no single distinct pathway of radicalisation towards violent extremism as the process is unique to each individual. However, there are some common elements in the experiences of most people who have become radicalised in the U.K, regardless of their beliefs or motivations. Radicalisation happens when a person’s thinking and behaviour become significantly different from how most members of their society and community view social issues and participate politically. Only small numbers of people become radicalised and they can be from a diverse range of ethnic, national, political and religious groups. As a person is radicalised they may begin to seek to significantly change the nature of society and government. However, if someone decides that using fear, terror or violence is justified to achieve ideological, political or social change – this is violent extremism. Exactly what influences individuals to go down a path of using or supporting violence to seek change can be difficult to determine, but there can be a number of factors. The radicalisation process is unique to each person who undergoes it, and in most cases, will not cause serious harm. In exceptional circumstances, however, the decisions made by a radicalised person can result in a serious and lethal act of violent extremism. Those who are radicalised and display threatening behaviour, incite hatred or promote the use of violence for their cause require some form of intervention. This may come from family, religious or community leaders, or law enforcement. Communities play a vital role in assisting people to move away from violent extremism and intervening to stop acts of violence before they are committed. A Nazi sympathiser who plotted to blow up mosques and Islamic centres has been jailed for 10 years. Ian Forman, 42, developed a homemade bomb and researched religious venues in Merseyside, Kingston Crown Court heard. Forman, of Shavington Avenue, Oxton, Birkenhead, was detained after work colleagues found him researching chemicals and explosives on the web. The explosive was discovered during a police raid, along with a replica Nazi uniform and bomb plans. Officers said seized computers showed evidence of internet research into a number of mosques in Merseyside, including Penny Lane Mosque, Liverpool and Wirral Cultural Centre, Birkenhead. The court also heard Forman had video clips of himself experimenting with explosives and a homemade anti-Islam video. He admitted having extreme right wing views in his youth but claimed he no longer thought like that, when he was questioned by police. Forman, who denied engaging in conduct in preparation of terrorist acts contrary to the Terrorism Act 2006, had claimed his research was for his hobby, making homemade fireworks. However in March, a jury found him guilty after an 11 day trial. Speaking after Forman was sentenced, Det Sgt Matt Findell said: “Thankfully, we will never know how far Forman was prepared to go in acting out his racist fantasies. “However, we do know that Forman had carefully selected a number of targets to meet his own means. Prevent is part of the UK counter-terrorism strategy, CONTEST. Its aim is to stop people becoming terrorists or supporting terrorism. Prevent will address all forms of terrorism but continue to prioritise according to the threat they pose to our national security. At present, the majority of our resources and efforts will continue to be devoted to stopping people becoming terrorists or supporting terrorism. There is a commitment to protecting freedom of speech in this country. But preventing terrorism will mean challenging extremist (and non-violent) ideas that are also part of a terrorist ideology. Prevent will also mean intervening to stop people moving from extremist groups or from extremism into terrorist-related activity. Channel is a national project that has been put in place to safeguard individuals who may be vulnerable to recruitment by violent extremists. To support and protect people who might be susceptible to radicalisation at a very early stage so that they are not drawn into criminal activity which may affect their prospects in later life. To ensure that individuals and communities have the resilience to resist all forms of violent extremism whether that be from an international threat, extreme right wing/left wing or domestically related for example environmental extremism. Channel is not about prosecuting or stigmatising individuals who have been referred. 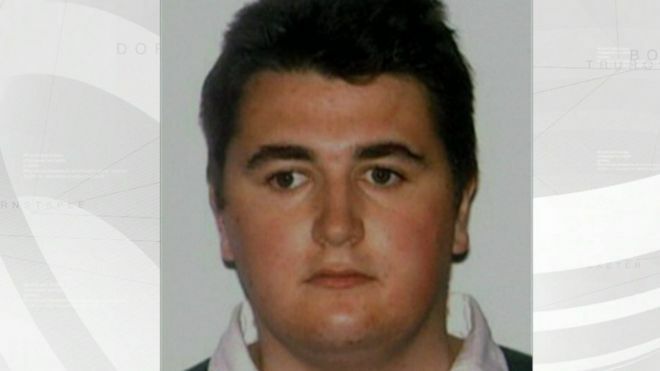 Nicky Reilly was a vulnerable young man – who suffered from Asperger’s Syndrome, had a history of self harm and had attempted suicide several times. Detectives believe Mr Reilly planned to commit suicide and allegedly had help in constructing three “rudimentary but viable” bombs that had never been seen in Britain before. They were constructed from sodium hydroxide, aluminium foil strips and an essential oil, combined with kerosene. It was confirmed that there were three devices in a bag packed with nails. One was partially detonated in the toilets of a restaurant in the Princesshay centre. The other two failed to go off. Special Branch officers were monitoring a group of alleged radicals in Plymouth, where Mr Reilly lives with his mother. Early investigations suggest comparisons with an al-Qaeda “inspired” attack but not one necessarily directed by a senior figure. A friend of Mr Reilly said he suffered from Asperger’s – a form of autism – and tried to commit suicide after problems with his girlfriend in his late teens . He was sectioned, and after being released from a mental hospital he was allegedly groomed by a group of radicals. Locals said Mr Reilly changed his name to Mohammed Rasheed last year and claimed he was “brainwashed” by men, who he would meet at a local internet cafe, kebab shop and outside a fish and chip shop. Friends claimed that he was “naive and easily lead”. What can put people at risk? Channel assesses the nature and extent of the potential risk to an individual and, where necessary, provides an appropriate support package tailored to their needs. This decision is made by a multi-agency panel and may include diversionary activities and/or support from services such as education, housing, employment and mentoring designed to help them resist those who may be seeking to harm them or others. Local community issues and tensions can sometimes contribute to an individual’s behaviour. The context of a situation is always taken into account. This package gives a flavour of channel case studies. It is multiple choice and takes 25 minutes to complete. It also allows management to assess who has completed the package.